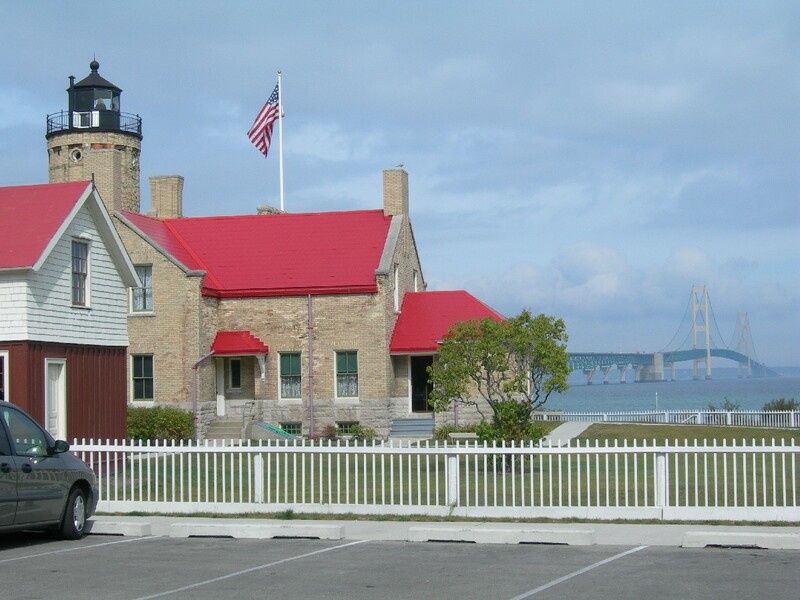 The Old Mackinac Point Lighthouse on Sept. 22. 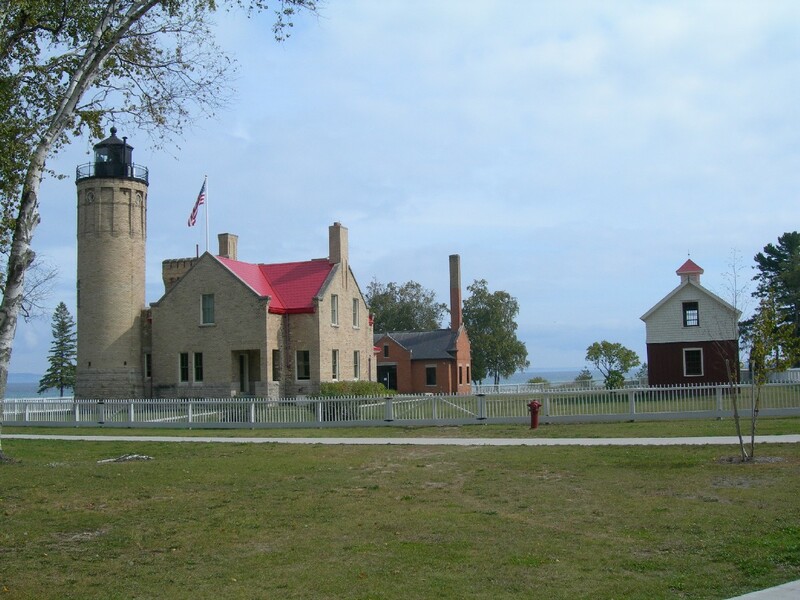 The site includes the lighthouse, fog signal building, and the barn which was moved back to the site a few years ago. The fence was also put in a few years ago and is based on the historic fence documented through historic photographs. 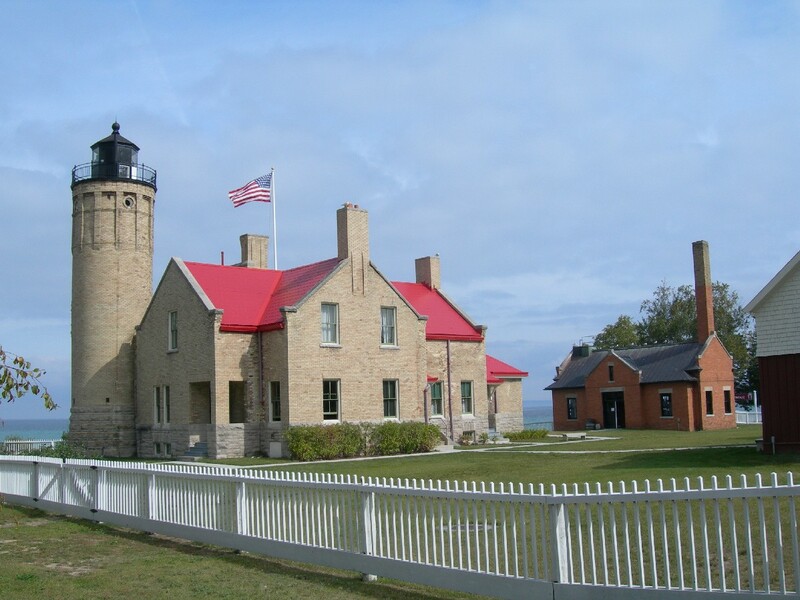 Several years ago one of our grants helped to fund a historic structures report to guide the rehabilitation. 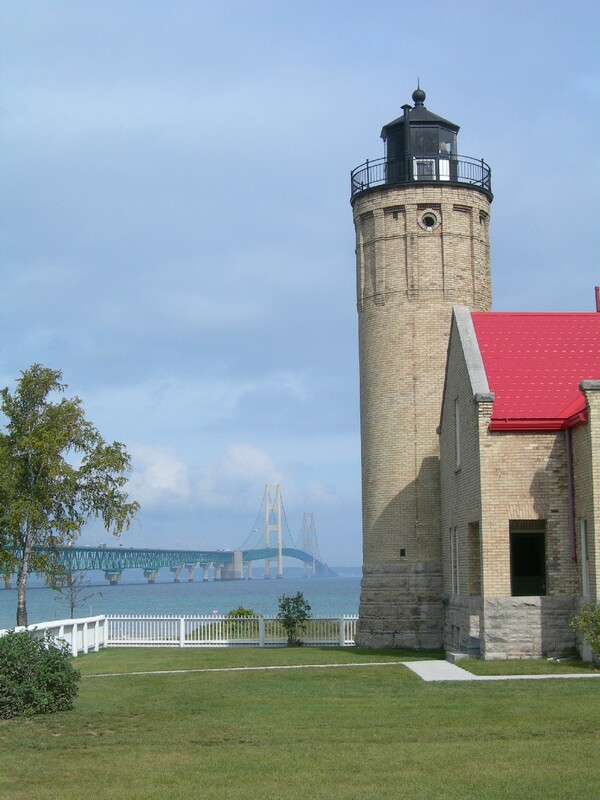 A beautiful fall day for a lighthouse tour!